You guys are a life saver–we are crazy busy!! The magazine is going great!!!! A popular procedure is the tissue grafting. 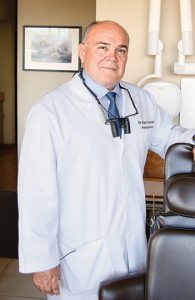 We have had several patients who were told tissue would have to be harvested from the roof of the mouth – and either never followed through or they had one side done and did not complete the other because it was too painful. People are calling ready to begin treatment! We’re getting a good number of implant cases too!! Also several patients have come to us from the website. We are seeing a lot of people who have put off treatment and now want to get it take care of! Please thank everyone at Gilleard Marketing for all their hard work! !